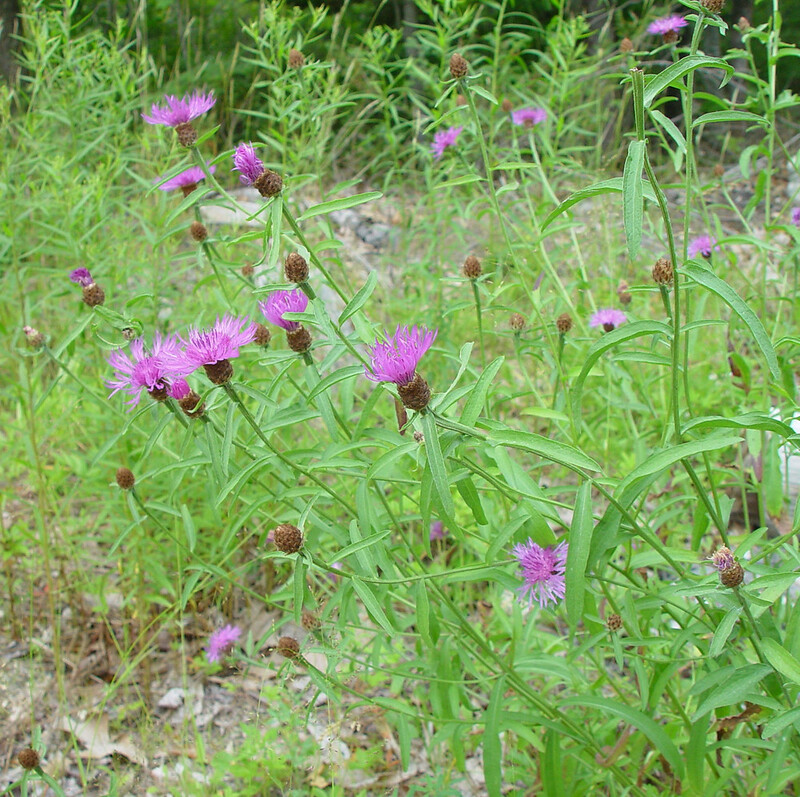 Centaurea dubia.Arthur Haines.Copyright © 2014.New England Wild Flower Society.gobotany.newenglandwild.org. (Accessed 11/2014). Centaurea dubia is a perennial herb, 20-80 cm tall, branched, finely hairy or webby when young. Leaves alternate, stem leaves sessile, lance-shaped, entire or toothed, basal leaves stalked, sometimes lobed, 1.5-4 cm wide, much smaller above. Flowers pale purple, all discoid, marginal flowers, enlarged, ray-like, with long, narrow petal lobes; flower heads terminal on branches, bracteate base 1.1-1.8 cm high, urn-shaped, mostly taller than wide, bract tips with blackish, regularly pinnate appendage 1-3 mm long, having a spider-like or feather-like appearance. Fruit dry 1-seeded achenes without plume but inner surface of flower head base densely short-bristly, blooming and fruiting June-Sept.
Habitat: Along weedy edges, roadsides, meadows.